From high quality water to achieving a clear and pure extract, excellence in filtration is as crucial to the Cannabis Industry as it is to the Food & Beverage and Pharmaceuticals Industries. Extracts of the active ingredients from the Cannabis sativa plant are now common options for various applications in North America. Cannabis oil extracts can be further processed to make edible products or standard extracts like medical marijuana extracts or hemp oil. The filtration stage of producing essential cannabis oil, medical marijuana, or hemp oil is key to ensuring product safety and quality regardless of the desired result. 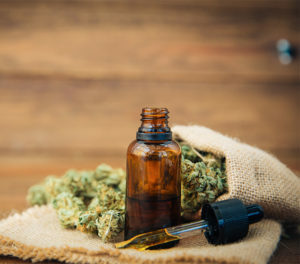 That’s why reliable cannabis extract producers of medical-grade marijuana and hemp oil turn to precision equipment to achieve excellence in every aspect of the liquid product, from distillation, taste and smell to the right appearance. The right combination of proper techniques and tools is the difference between a clear, amber extract, and a muddy, undesirable product that contains plant particles, debris, and unwanted lipids. From research and development applications in the laboratory, to full production runs, ErtelAlsop’s food grade depth filters, equipment, and filter media are staples for producers looking for a professional result. After CO2 extraction or cold ethanol extraction, the slurry is run through an initial filter stack. Most processes then pump the liquid through a filter that catches biomass, and finally another filter media grade as many times as necessary to finalize the product and remove unwanted compounds. Achieve a clear product that can be applied to various applications. The muddy, dark brown or green appearance in the raw extract comes from the presence of chlorophyll. Activated carbon filtration effectively removes and adjusts the color and taste of your product without affecting the integrity of the product. Filter media like Micro-Media M704 with 0.45 micron retention finishes your product by removing fine particles and debris that can affect purity and appearance, and prepares it for final processing or bottling. As with all ErtelAlsop filtration equipment, you’ll find the right filter media for your specific operating conditions. ErtelAlsop offers the widest varieties of filter media and construction techniques to provide good particle retention, clear filtrate, high flow rates, and dry filter cakes, with our variety of filter media finishes and separation capabilities. ErtelAlsop Micro-Clear™ Activated Carbon Filter Media is one of our most popular products used to improve purity and adjust color. Activated carbon sheets with varying pore sizes and premium adsorptive qualities allowing the removal of excess color and odor from liquids without having to deal with carbon in loose form. AlphaMedia G Series, the go-to premium filter medium for distilled liquids, essences, and oils, the G Series is a mineral-free depth filter medium without inorganic components. It has a net positive charge zeta potential, allowing for highly efficient removal of particles smaller than the filter’s nominal rating. For precision purity, clarity, and high throughput, the MicroMedia XL Series, featuring ultra-pure Celpure® diatomite that meets USP-NF standards, is the ultimate media for unparalleled process control. Manufacturer specifically for critical applications, ErtelAlsop’s MicroMedia XL series depth filter sheets outperformed standard grades by over 500%. We understand that the Cannabis industry relies on quality equipment to produce quality products. To learn more about ErtelAlsop’s filtration options, explore more filter equipment and lenticulars. Product filtration testing is always available either at your facility through our network of distributors, or at our in-house laboratory.